Let’s face it – winter is already here. In London, we’ve been hit by biting wind and pouring rain and in a few weeks, we’ll definitely be in the thick of things. If you only make one change in your skincare routine, switch the gritty exfoliator for a gentle cleanser to help your skin adjust to cooler, drier weather. Our Gentle Cleanser For All Skin Types is formulated with BHA (beta-hydroxyl acid) that thoroughly removes dead cells, sebum and dirt, while lipids and antioxidants stimulate protective barrier function and help the skin retain its natural moisture level. No, water in your coffee doesn’t count! Drinking enough water does not only help your internal organs function properly, but also keeps your skin plump and radiant. Aim for six to eight glasses per day and keep alcohol and caffeine consumption to a minimum. Your skin needs hydration to stay plump and healthy in the harsh winter conditions, so now is the perfect time to introduce a hard-working serum such as Growth Factor Serum which stimulates cell turnover, reduces collagen degradation and infuses a hefty amount of antioxidants into the skin to fight free radical damage and encourage DNA repair. 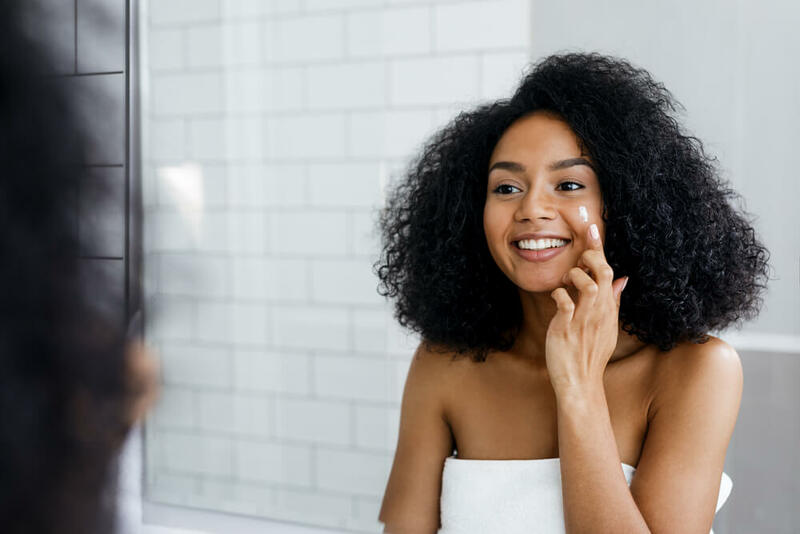 Sloughing off dry patches with a physical exfoliator is only a short-term fix that can actually backfire by irritating dry skin and causing the flakes to come back worse. Instead, use a product with ceramides – the natural enzymes that help the skin rid itself of dead cells. 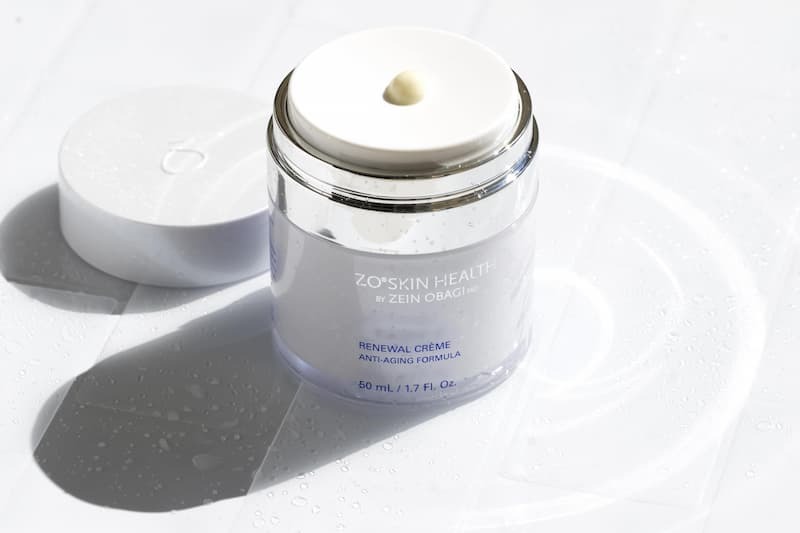 Our Renewal Crème reinforces the skin barrier function and supports moisture retention. It sounds counterintuitive, but sun damage can be even worse in the winter! Snow reflects 80% of the sun’s rays while sand and water only reflect around 10-15%. Also, long-wavelength UVA rays (the wrinkle-causing type) can penetrate through clouds, fog and window glass, wreaking havoc on your skin. If you are worried about clogging pores, our Smart Tone Broad-Spectrum SPF 50 blends seamlessly into all skin types thanks to its customisable colour beads, while the exclusive ZOX12 blend provides continuous antioxidant protection and hydration replenishment. Besides their main function of preventing pregnancy, birth control pills are used to ease many different things – period pains, acne, oily skin. It is a little wonder-pill which helps with different small but important problems in life. But like all the good things in life – it all comes with a cost. This time the cost is an increased chance of hyperpigmentation. Big word, right? Not really, just means some skin cells are darker than normal. Simple! Contraceptive pills cause oestrogen imbalance and promote development of dark spots in the facial area. Yes, one of the factors of having melasma is genetic predisposition. Usually, for example, it is the people with a darker skin tone who are most likely to be affected by this skin condition. Unlucky tanners! Actually, not all of them, but it’s true. Skin products that tend to irritate, inflame or burn your skin can cause hyperpigmentation. If you use skincare products that sting or burn, consider buying softer ones to avoid black spots. 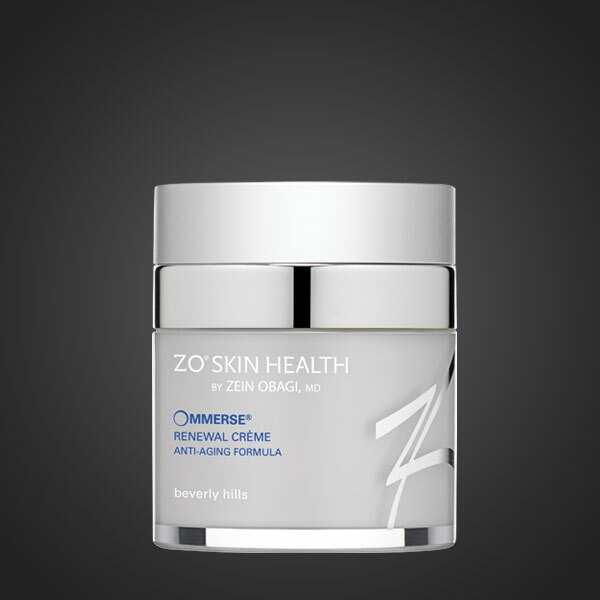 We recommend using ZO Skin Health products for a combination of gentle treatment and effective results. And more precisely, the lack of it. Ultraviolet radiation is prone to penetrate the skin cells on the face and cause a mutation leading to darkening of the skin cells. It is always useful to wear adequate clothing and we also remind you that the use of sun protection is crucial for healthy looking skin. 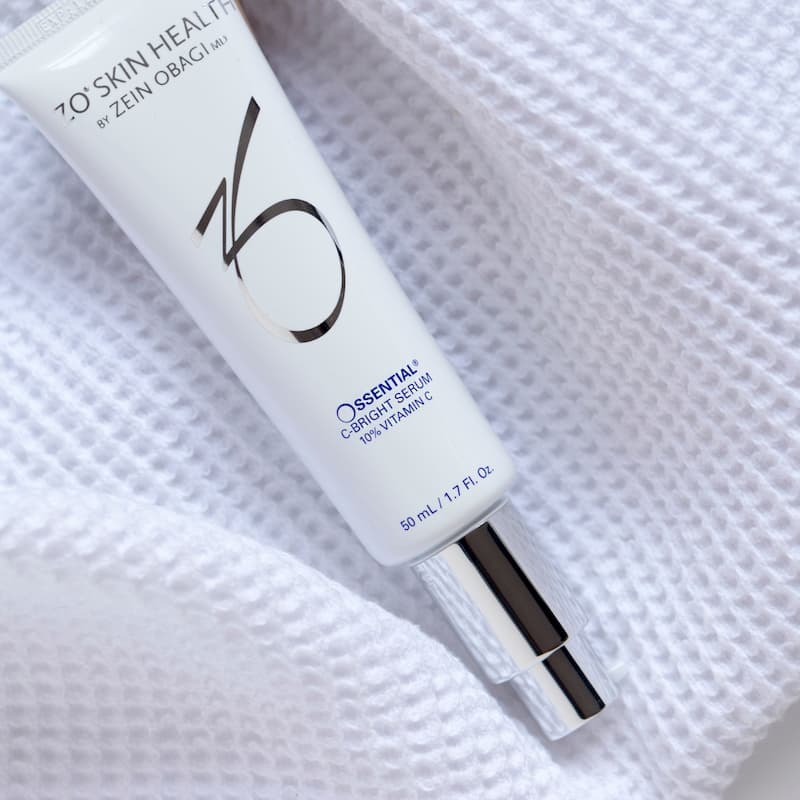 At ZO Skin Health, you will find products that combine sun protection with treatment of hyperpigmentation and discoloration. The unusual thing about melasma is that the principal cause of this condition is yet to be known. This creates lots of room for speculation about its cause and unreasonable tales about traditional remedies. Our advice is, keep out of the sun if you aren’t wearing sunscreen, lead a healthy lifestyle, use ZO Skin Health Fundamental Five regime and you will be fine! Do you know what makes your anti-ageing cream work? Healthy and young-looking skin is within reach at any age. Become better acquainted with your skincare products and look for active ingredients and powerful wrinkle fighters. No matter what products you decide to go for, it’s always important to choose quality over price. Retinol is an active form of vitamin A and your most powerful ally in the fight against premature ageing and skin damage. Retinol sweeps away the dead cells that cause dullness and stimulates cellular repair at the deepest level of the skin. It also helps to improve the overall skin tone and texture by increasing blood-vessel formation and boosting blood circulation in your skin layers. Ossential Advanced Radical Night Repair contains 1% retinol which is the highest concentration you can find in over-the-counter products. It’s formulated with antioxidants and plant stem cell protectors to defend your skin against free radical damage and prevent future signs of ageing. 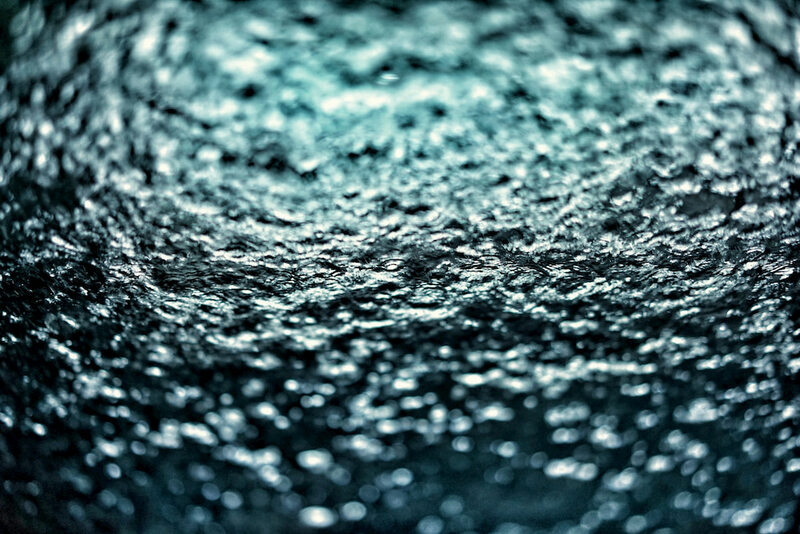 Lipids fill the spaces between skin cells like mortar and cement and help your skin retain natural moisture. As we age, the epidermis loses lipids, collagen and elastin causing the internal support structure of your skin to collapse and lose its firmness and elasticity. To keep your skin plump and smooth you need to reinfuse it with lipids. Ommerse Overnight Recovery crème reinforces skin’s barrier functions and protects against transepidermal water loss. It’s packed with ceramides (waxy lipid molecules) and retinol to support skin’s structure and boost collagen production. Antioxidants are superheroes against free radical damage. Free radicals form in your body when you’re exposed to UV rays, air pollution or other environmental assault. Unchecked, they can damage and destroy collagen, elastin and the very DNA structure of your skin cells. Antioxidants are a crucial part of your skin’s defence system. 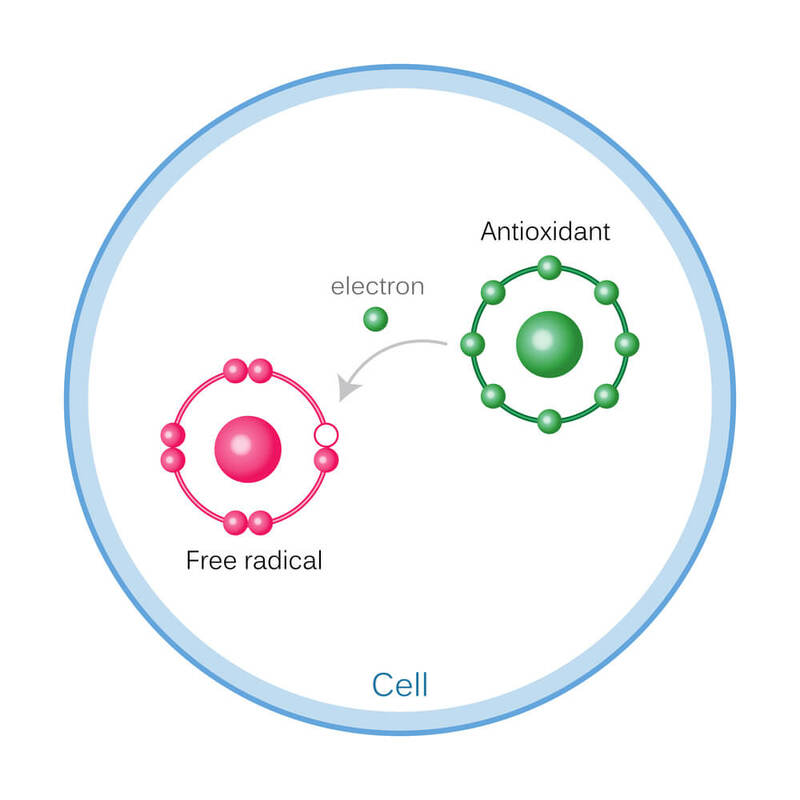 As free radicals are highly charged and unstable, antioxidants bind with them to create a harmless stable molecule. 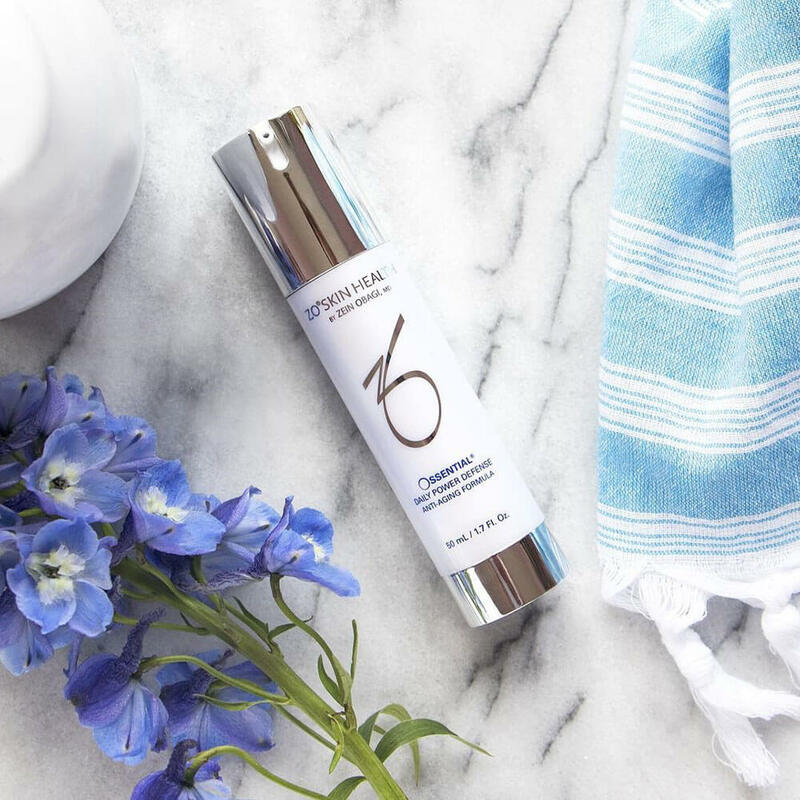 Some antioxidants multitask too; Ossential C-Bright Serum contains vitamin C and E to protect your skin from the harmful effects of free radicals and co-enzyme Q-10 to help stimulate collagen production and boost cell repair. Yes, you’ve heard it a million times, but wearing sunscreen all year round is the easiest way to protect your skin from premature wrinkling, sagging and discoloration. If you want to keep your skin healthy and young-looking, an SPF of 30 or higher should be the core of your skincare regime. Oclipse Smart Tone SPF 50 provides broad-spectrum protection against UVA, UVB, HEV and I-RA radiation. Its ultra-lightweight formula contains customisable colour beads that blend seamlessly into every skin tone. The sunscreen is enriched with 12-hour release antioxidant complex to give your skin an extra layer of protection against free radical damage. Vitamin A is a miracle worker against fine lines, spots and wrinkles. Similar to retinoids, which are derived from it, vitamin A speeds up tissue repair and supports the healthy functioning of skin’s protective barrier. It is also a great supplement for oily and acne-prone skin as it can help reduce excess sebum production and clear rough patches on your face. 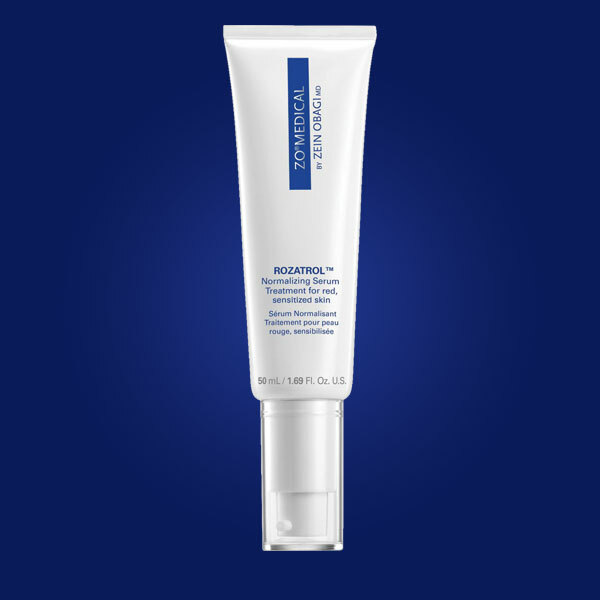 Ossential Advanced Radical Night Repair contains 1% retinol which is the highest retinol concentration you can find in over-the-counter products. 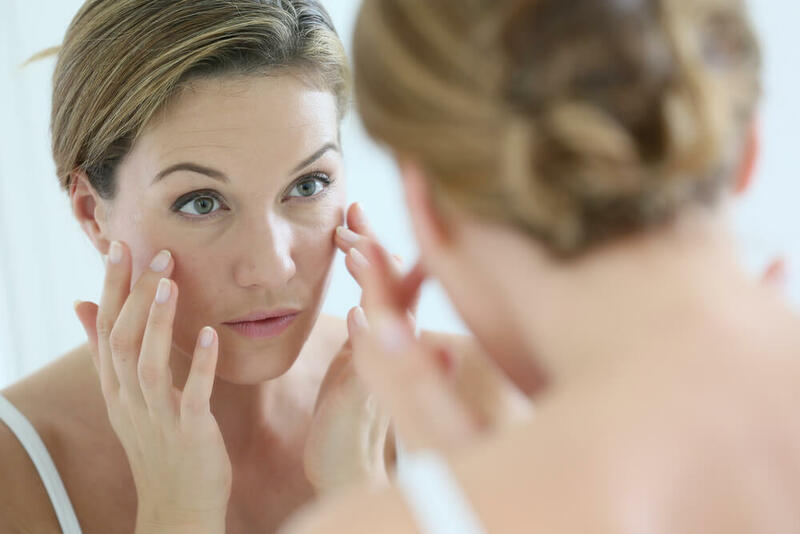 Retinol is an active form of vitamin A that clears up uneven pigmentation and diminishes the appearance of fine lines, wrinkles and pigmentation. Ossential Advanced Radical Night Repair is formulated with multiple antioxidants to neutralise free radicals and prevent future damage to your skin. We all know vitamin C can help us fight off colds and flu, but its antioxidant properties are great for skin, too. Vitamin C protects your complexion from free radical damage and boosts collagen production. 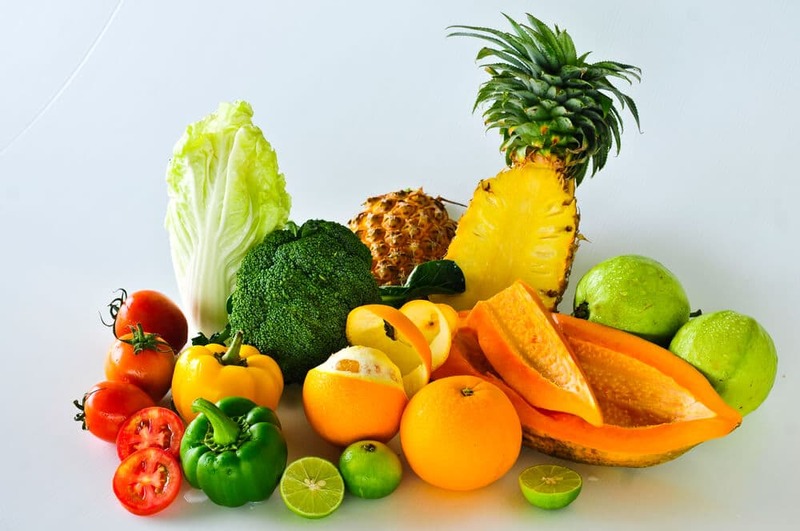 Exposure to sunlight and pollutants depletes the amount of vitamin C in your skin, so add vitamin-rich foods to your diet to ensure you are getting your daily dose. Ossential C-bright Serum provides a potent dose of 10% pure, stabilised vitamin C to combat spots, dullness and wrinkles. The serum activates upon contact with the skin’s natural water content to maximise exfoliation and reveal radiant, even-toned skin. 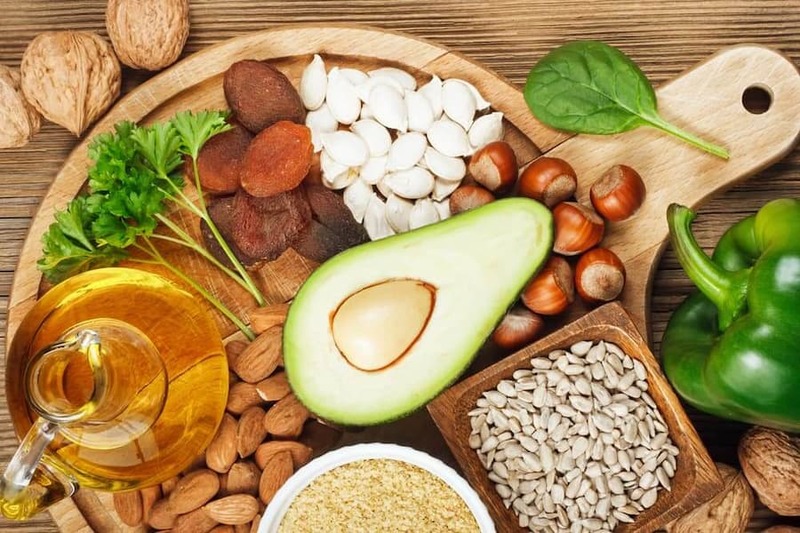 Vitamin E is another powerful antioxidant that reduces inflammation and neutralises free radicals before they harm the cells in the upper layers of your skin. Studies have shown that vitamin E protects better when it’s combined with vitamin C. When used together, vitamins C and E help reduce the damaging effects of UV radiation twice as effectively than when administered alone. To optimize the benefits of both vitamins, Ossential C-Bright Serum is formulated with 10% pure vitamin C, vitamin E and Q-10 to protect your skin from environmental damage and stimulate healthy collagen production. 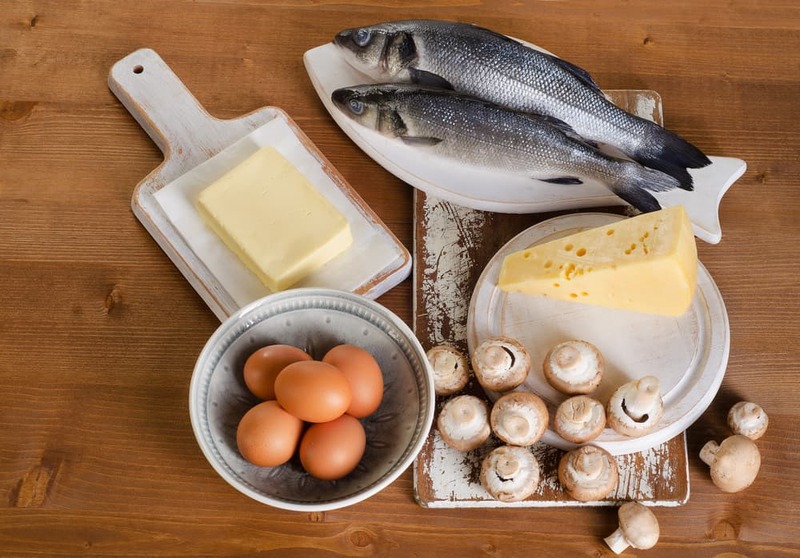 Vitamin D is vital for skin cell growth and repair. It prevents the onset of premature aging and enhances skin’s ability to retain and replenish moisture. 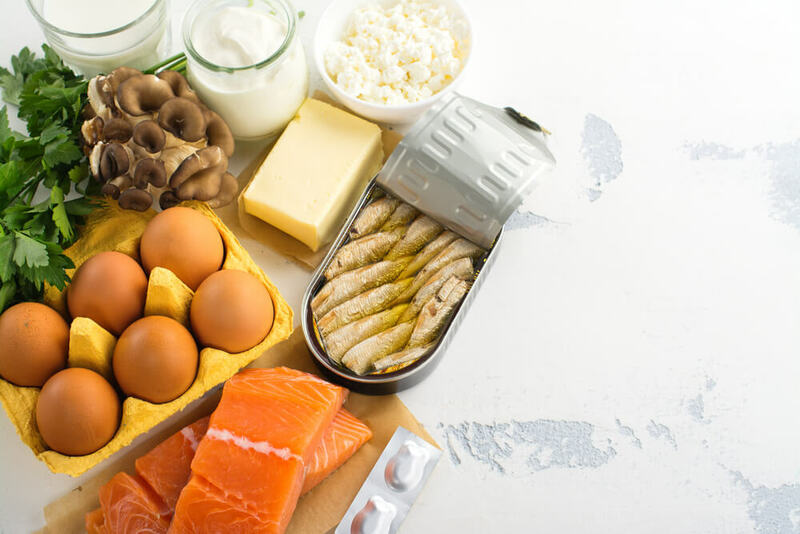 Vitamin D plays a big role in fighting off bacteria and its deficiency is strongly linked to acne breakouts and inflammation. Vitamin D is also known as the “sunshine vitamin” because our body synthesises it from sunlight exposure. However, letting the sun beat down on your face and body without SPF protection is not the right way to get your daily dose of vitamin D.
The World Health Organisation has identified solar UV radiation as a proven human carcinogen, linking to 90% of nonmelanoma skin cancers and about 86% of melanomas. Unprotected sun exposure is also the number one reason for premature skin ageing. So, is there a way to get vitamin D without abusing your skin and putting your health at risk? Oclipse® Sunscreen + Primer SPF 30 protects your skin from the harmful effects of UV radiation and enhances skin barrier functions. 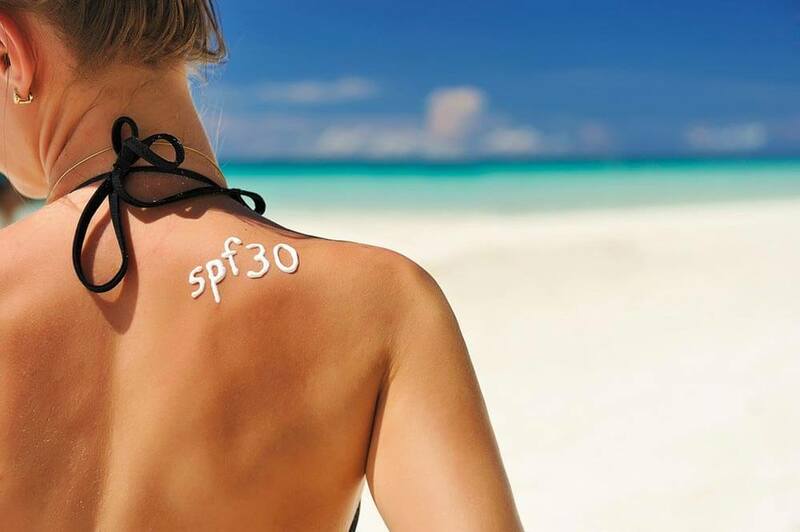 SPF 30 keeps out 97 percent of UVB rays, which means that 2 to 7 percent of solar rays still reaching your skin; this is more than enough to get the vitamin D your body needs. You may think that wind and cold are the major causes for those cracks and flakes, but when it comes to weather, sunlight is the one to watch out for.Just because the sun rays don’t feel as strong as in summer months doesn’t mean you should leave your skin unprotected. If skin cancer risks and accelerated ageing aren’t reason enough for you, there’s another incentive to wear SPF all year round. Sunscreen doesn’t only protect you from harmful sun radiation but also reinforces skin’s protective barrier and helps your complexion withstand the harsh winter conditions. Yes, taking a long relaxing bath can be a glorious reward to a gruelling day at work, but it also might be the reason why your skin is tight and itchy. Hot water strips the natural oils in the epidermis that keep your skin smooth, soft and plump. So, if you want to get dewy, radiant complexion, you need to discover another way to find your zen and start taking short, lukewarm showers. Getting more moisture is only half the battle with dry skin. You also want to use products that help your skin retain newly stored hydration. The molecules of thick moisturisers are too large for your pores to soak them up and penetrate the deeper layers of your skin. Applying coats of thick, greasy creams will only lead to clogged pores, so instead grab a targeted product packed with active ingredients that hydrate your skin from within. 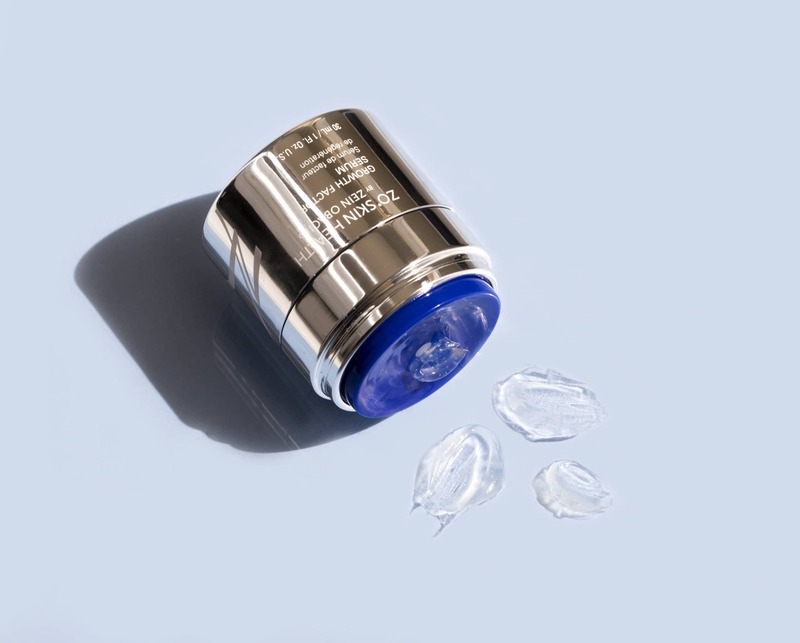 Ommerse Renewal Crème is supercharged with hyaluronic acid and antioxidants to give your skin a major hydration boost and protect it from free radical damage. Willowherb extracts and jojoba esters minimise redness and soothe sensitised skin. Finding the right products is only the battle with dry skin. 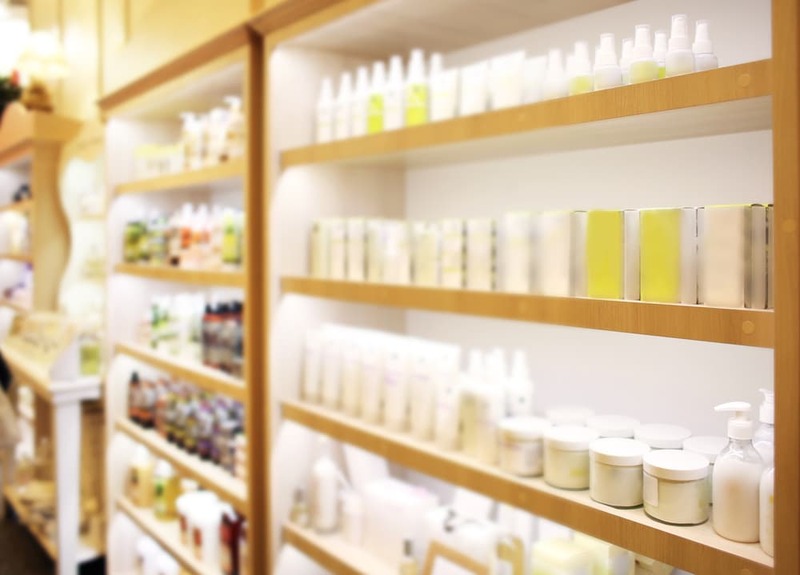 Slathering creams and serums at random order will reduce their efficacy. So, layering is key. Offects Hydrating Cleanser will gently remove dirt and dead cell build-ups from your skin and restore moisture levels. Ossential C-Bright Serum will penetrate the deeper layer of your skin and stimulate the healthy function of your skin’s protective barrier. Ommerse Renewal Crème stimulates the skin’s DNA repair mechanism and helps retain newly stored hydration. 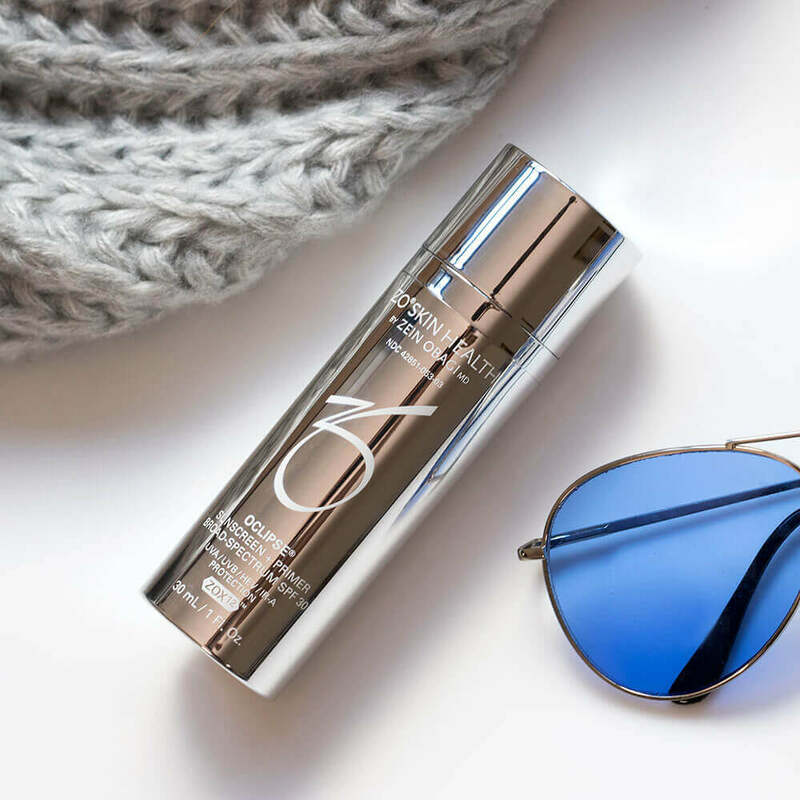 Oclipse Smart Tone SPF 50 protects the skin from the damaging effects of UVB, UVA and HEV light. It’s enriched with skin conditioners and antioxidants to support healthy moisture levels and protect the skin from free radical damage. 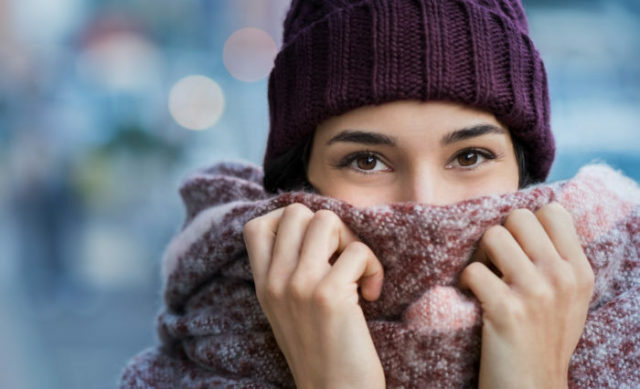 Winter brings its own set of skincare challenges especially if you’re one of the 1 in 10 people who suffer from rosacea. Keeping rosacea flare-ups under control in normal conditions is difficult enough as triggers are many and varied. 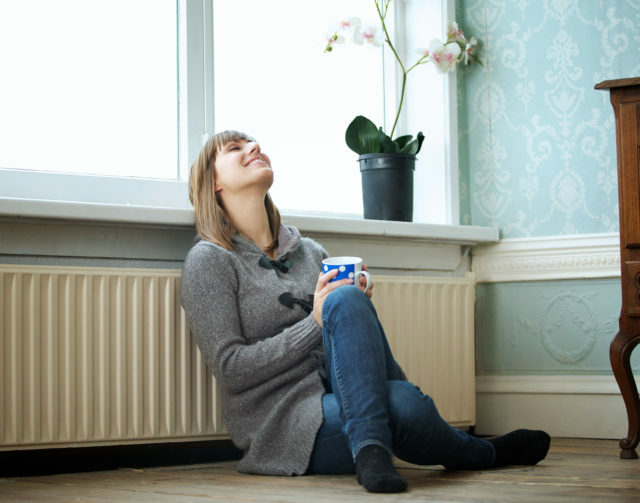 But when you throw arctic winds, indoor heating and low humidity into the mix, it gets even more challenging to soothe your temperamental skin. 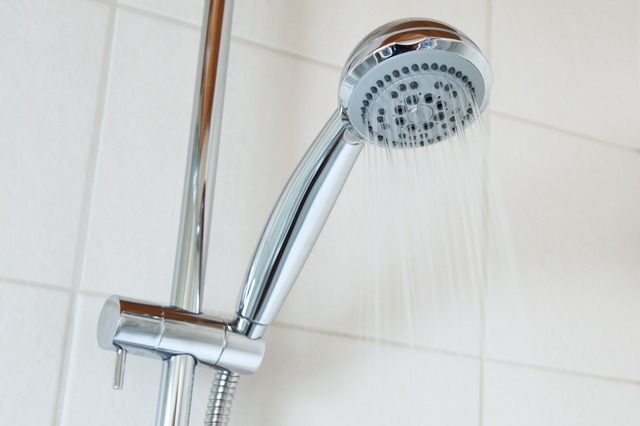 So hard to do in the winter months, but necessary if you want to combat face flushing. 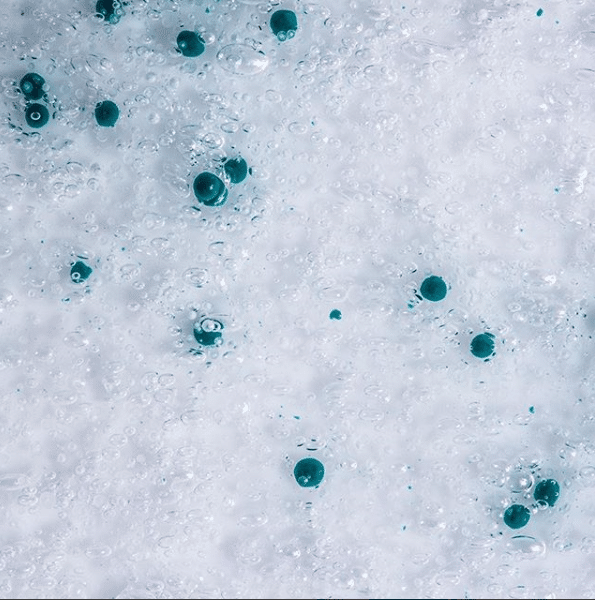 Hot water strips the skin from its natural oils and moisture, so after a day of braving the cold, the last thing you want to do to your sensitive face is put it under a steaming hot shower. Limit your cold exposure as much as you can. Infinity scarves are not only a good fashion choice, but you can pull them up and protect your face from the biting wind. When you suffer from rosacea, you always want to avoid dramatic changes in your body temperature. Try to layer your outfit, so you can quickly peel off when you start to feel too warm, after coming into a heated building from frosty outdoors. With freezing temperatures outside, it’s tempting to turn up the heating and snuggle up, when you get home. However, dry warm air doesn’t do your irritable skin any good. Instead of cranking up the heat, put on the humidifier. If you don’t have a central one, you can buy a portable humidifier or just put a bowl of water next to your radiators. It will put the much-needed moisture back in the air. It might be tempting to skip sunscreen when the thermometer dips down below freezing, but just because you don’t feel the sun as much as you do in the summer, it doesn’t mean the UV rays are not damaging your skin. Oclipse-C™ is a non-irritating, mineral SPF 50 sunscreen, developed to protect the most sensitive skin types. It shields your skin from UVA, UVB, HEV and IR-A rays and supports its natural barrier function thanks to a slow-release antioxidant complex. Use daily to prevent your cheeks from turning red this winter. 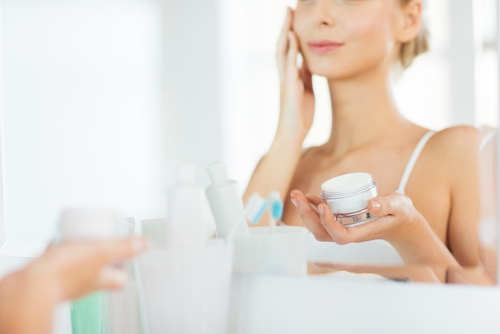 If your skin is rosacea-prone, you need to be extra careful when choosing your cleansing products. Even the ones labelled for “sensitive” skin can cause irritation. Rozatrol™ is an enzymatic exfoliator which provides ultra-mild cleanse and prevents excess sebum production. This little tube can be a lifesaver for anyone struggling with rosacea flare-ups. It not only cleans your skin thoroughly but also reliefs existing redness and inflammation thanks to its amino acid complex. The last step in your winter routine is the most obvious one…Hydration. At this time of the year, you want to give your skin a major hydration boost and lock in as much moisture as you can. 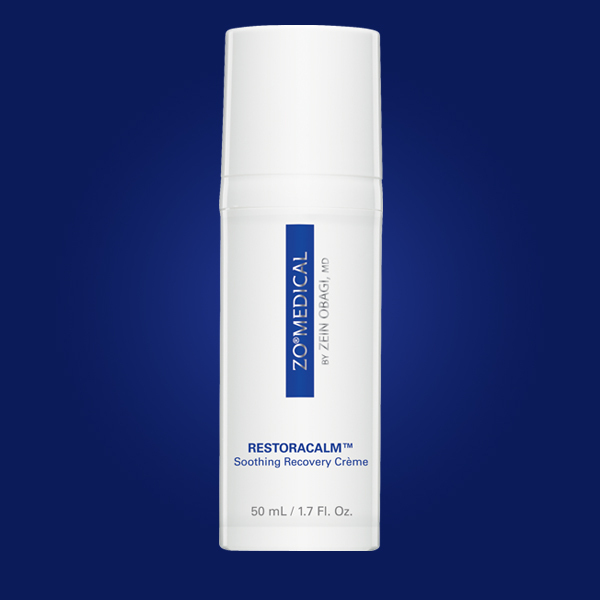 For a quick flare-up relief, use the Restoracalm™ soothing recovery cream. It provides immediate comfort to dry, flushed skin and stimulates the natural restoration of the skin barrier. Restoracalm™ has been developed with silk sericin protein to support skin’s recovery process and prevent future irritation and signs of ageing. Why should you wear an SPF all year round? 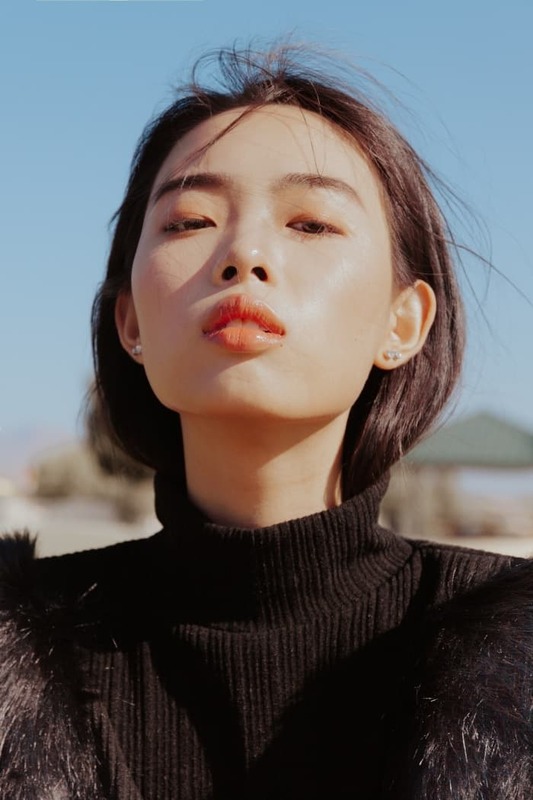 Now that the weather’s cooling down, and the summer is finally over for another year, you might have started skipping the SPF and sun protection as part of your skincare routine. 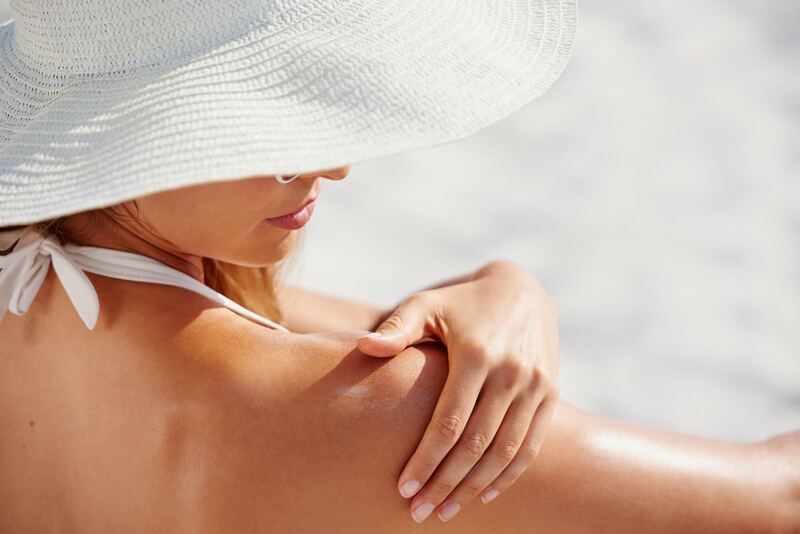 Although, while it’s especially important to protect your skin from the sun in the hotter months, and in warmer climates, many people don’t realise that we need to protect our skin from sun damage all year long – even in winter. Why do we need sun protection in winter? The sun’s UV rays can damage the skin throughout the year. UVA rays can cause fine lines, wrinkles and ageing, while UVB rays can burn the skin. Even on a cold, overcast day, up to 80 percent of these rays can actually penetrate clouds. New studies have also shown that our skin pigment cells can not only be damaged by these UV rays from the sun, but also by lower doses of ambient and infrared light! This means your computer screen, mobile phone or lightbulbs could inadvertently be causing your skin to age. Finally, wearing sunscreen daily is proven to slow down the ageing process by 24%. Luckily, ZO Skin Health have a way for you to easily incorporate sun protection into your winter skin routine. 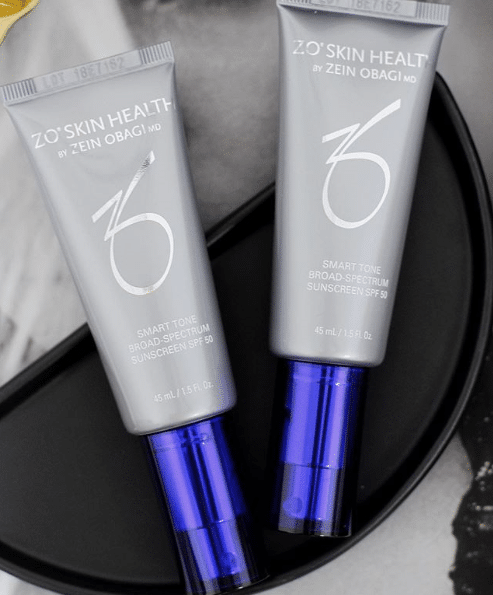 ZO Oclipse® Sunscreen + Primer has SPF 30 and protects against both UVA and UVB rays, as well as HEV light, it also doubles up as a makeup primer, so it’s easy to incorporate into your morning routine. With a universal tint to match all skin tones, it’s silky matter finish also works to reduce the appearance of skin imperfections, and can be worn either alone or over makeup. Click HERE for more sun protection products! https://zo-skinhealth.co.uk/wp-content/uploads/2017/10/Untitled-design.jpg 364 705 Alex https://zo-skinhealth.co.uk/wp-content/uploads/2018/05/ZO-Skin-Health-PMS072C.png Alex2017-10-06 10:55:412017-10-06 10:58:57Why should you wear an SPF all year round? We all know by now that SPF is an essential for any summer holiday. It protects your skin from UV rays, health risks as well as premature skin ageing. But how often do you need to apply sunscreen, to ensure that it is at its utmost effective? A common mistake many make is waiting till they are lying out on their sunbed before they begin to apply sunscreen. Yet, in fact, you need to apply sunscreen about 20-30 minutes before you expose your skin to the sun. This will ensure that the ingredients in the SPF can really begin to work the moment you step outside. SPF should be reapplied every 2 hours. If you go swimming, play a sport or simply sweat from the summer heat, sunscreen should be immediately reapplied. Even when it is cold or cloudy, you must still wear SPF. It is a misconception that UV rays are non-existent or cannot penetrate the skin when it isn’t hot or sunny. You must always apply sunscreen because up to 40 percent of the sun’s ultraviolet radiation reaches the earth on a completely cloudy day. 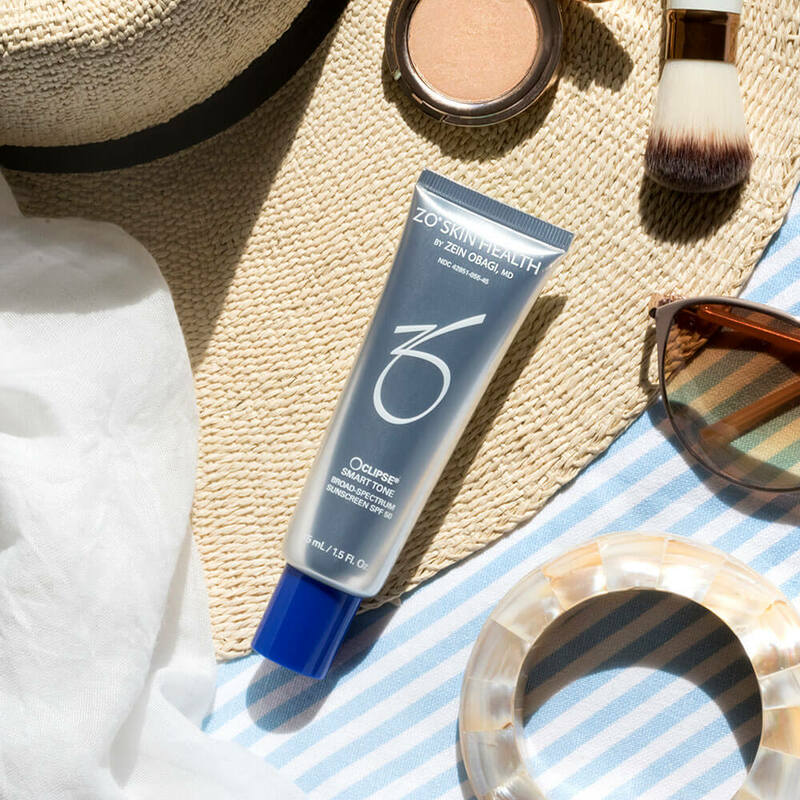 Oclipse Sunscreen + Primer SPF30 for the sun protection that also doubles up as a makeup primer! https://zo-skinhealth.co.uk/wp-content/uploads/2016/08/sunscreen-ft.jpg 364 705 Alex https://zo-skinhealth.co.uk/wp-content/uploads/2018/05/ZO-Skin-Health-PMS072C.png Alex2017-08-29 00:00:332017-08-17 16:26:05How Often Should You Apply Sunscreen? Is Your Smartphone Damaging Your Skin? There is constant discussion on whether smartphones are detrimental to your emotional and mental health but smartphones could also be harmful to your skin health. Other than the spread of bacteria when you place your phone on your skin, new studies suggest that the HEV light emitted from your phone could cause premature ageing. HEV light is short for high energy visible light. It appears blue in colour and is very close to UV light on the electromagnetic spectrum. You are exposed to it from the sun’s rays and from everyday technological gadgets. Mobile phones, computer screens and laptops all produce HEV light. How Does it Damage the Skin? It is still not known what exact effect this light has on the skin. However, in susceptible individuals, prolonged chronic exposure to HEV and UV light can lead to non-specific discolouration. The electromagnetic spectrum can affect the intracellular minerals and their movement out and into the cells. This may lead to cellular dysfunctions. 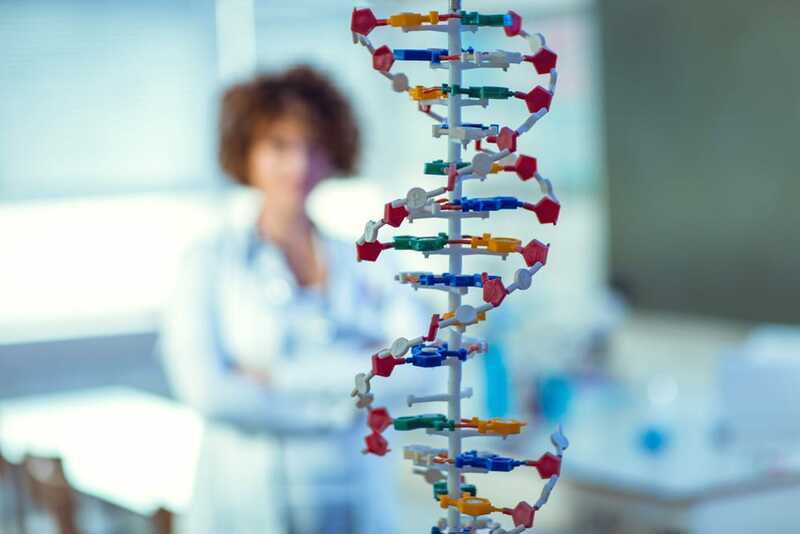 Dr Obagi insists that a DNA repairing agent and an antioxidant are necessary to encourage skin’s defence mechanisms against HEV light damage. 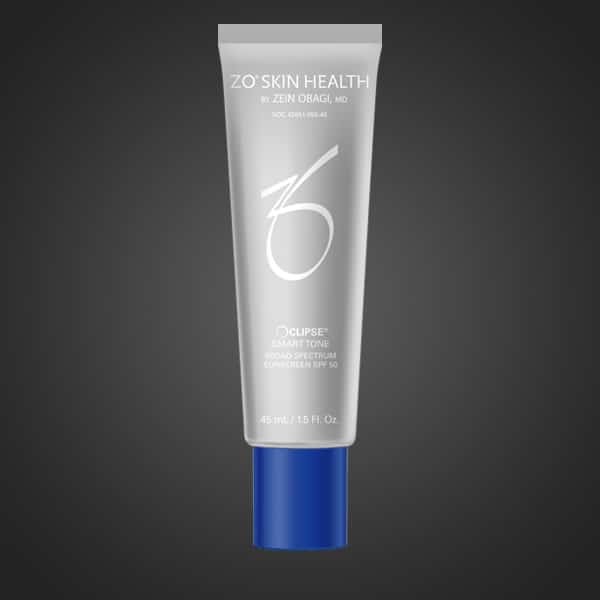 “I recommend ZO Skin Health Ossential Daily Power Defense as it uses DNA repair enzymes to enhance your skin’s recovery capabilities, regulate cellular functions and increases skin tolerance and immunity to UV radiation. Skin needs to be encouraged to defend itself. The special enzymes attach directly to your own DNA molecules and repair oxidative damage. 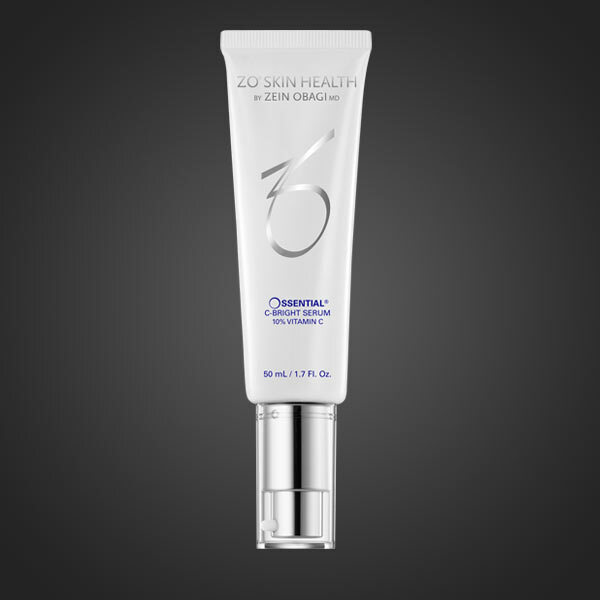 It contains time-released retinol, enzymes and antioxidants to repair damaged cells and protect against future damage. Melanin occurs naturally in the human body. Melanocytes release it into the skin as the first line of defence against exposure to harmful light waves. Liposhield HEV Melanin is a novel, patent pending ingredient. It is the first cosmetic ingredient designed to protect the skin from damaging high energy visible light. Liposhield HEV Melanin is a fractionated melanin designed to be used topically as an additional defence. It shields the skin from high energy blue/violet visible light (HEV) that may induce premature ageing. Red visible light is deemed to have beneficial effects, and Liposhield HEV Melanin is tailored so that red light can be transmitted to the skin. 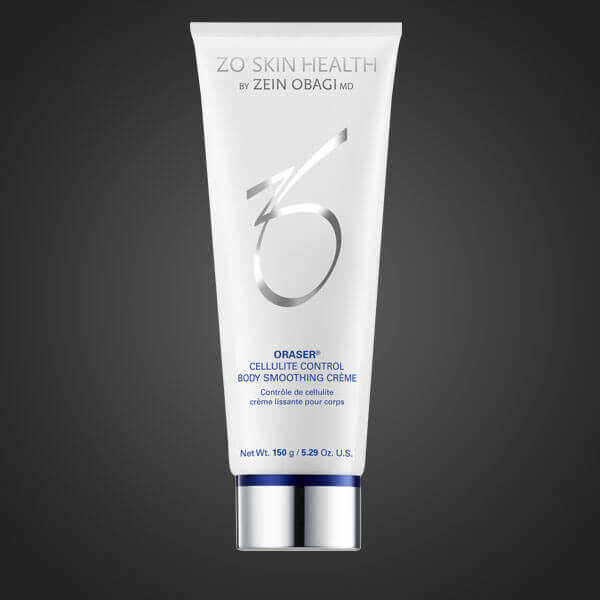 The ZO Skin Health Oclipse® Smart Tone Broad Spectrum SPF50 also helps prevent future oxidative stress with DNA repair and protection. It also minimises the irritants that can cause skin redness. 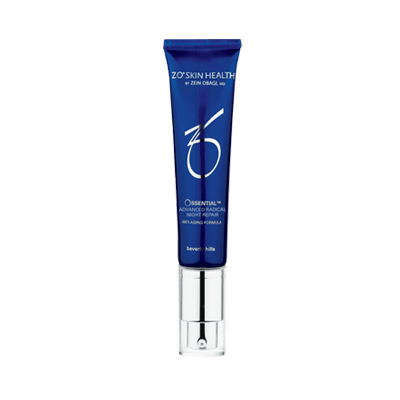 It has an exclusive 12-hour time release antioxidant system to help guard against photo-damage. What’s more, the sunscreen restores hydration with skin conditioners that aid in strengthening the skin barrier. Always at the cutting edge of science and innovation, Oclipse® Smart Tone Broad Spectrum SPF50 first launched 5 years ago with this patented and unique ingredient and in 2017 has introduced a new sunscreen the Oclipse® Daily Sheer SPF 50. This is the next step in sun protection shielding skin from HEV light damage, providing broad-spectrum UV protection but also formulated to be recreational-friendly. A non-greasy, perspiration and water-resistant sunscreen that blends seamlessly into the skin as a sheer matte finish. 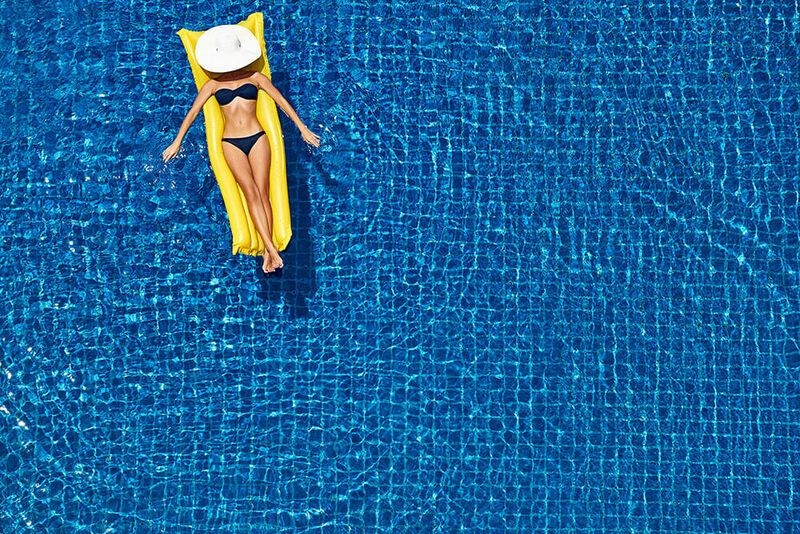 Swim and sweat this summer without worrying about your sunscreen washing away! https://zo-skinhealth.co.uk/wp-content/uploads/2016/09/hev-light-damage.jpg 364 705 Alex https://zo-skinhealth.co.uk/wp-content/uploads/2018/05/ZO-Skin-Health-PMS072C.png Alex2017-08-10 00:00:332017-08-10 17:48:41Is Your Smartphone Damaging Your Skin? As the summer approaches we all frantically attempt to get our skin summer ready for bare arms and legs. The use of nourishing ZO products, packed full of active ingredients, can help get your skin looking firmer and more radiant. Our products for the hands and body help erase signs of ageing by using powerful antioxidants, retinol, amino acid complexes and nourishing natural oils. See how your skin can be transformed with ZO. Become perfectly hydrated, exfoliated and nourished – from head to toe – ready for summer! This is arguably the best body moisturiser available without a prescription. It prevents moisture loss and allows your skin to regain its youthful appearance, texture, and tone with retinol, ceramides and emollients. An antioxidant-rich complex with lactic acid softens rough patches and can help battle frustrating conditions like keratosis pilaris. Find out more about Keratosis Pilaris here. This body crème is probably the ultimate summer body product you need in your life. If there’s one product you get, let it be this. This cellulite cream is formulated with a breakthrough blend of ingredients that work around the clock to reduce cellulite appearance. It visibly smooths skin while providing a slimming effect, ideal for hips, thighs and buttocks. Learn more about ‘How To Treat Cellulite’ here. Once you hit 40, your hands can make you look older than you really are. To Zein Obagi, MD, that’s unacceptable but completely treatable. Oraser® Nourishing Hand Crème is packed with retinol, powerful antioxidants, and an amino acid complex to reduce pigmentation, fine lines and wrinkles. This is an anti-ageing treatment that will improve hands’ texture, tone and colour. What’s more, a brightening complex helps erase age spots while broad spectrum UV protection prevents against future skin damage. A breakthrough in hand and body exfoliation. 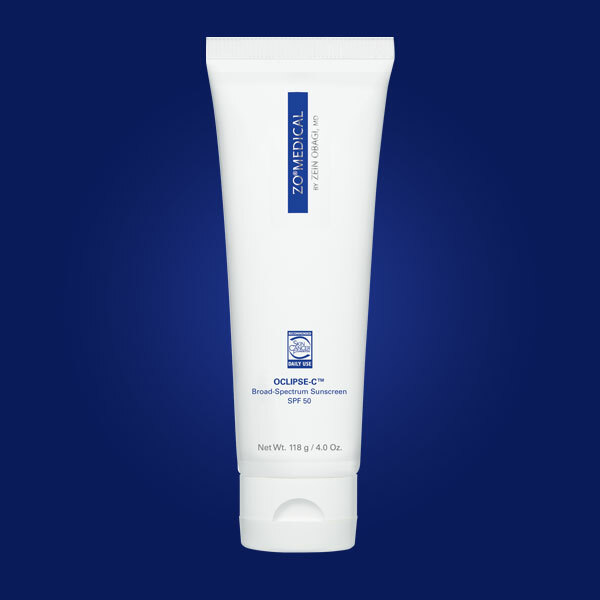 This scrub helps improve the appearance of hand and body areas that suffer from dry, rough, scaly skin. Its dual chemical and mechanical exfoliating system uses proven salicylic acid and sugar crystals for a multi-exfoliation approach. Daily use leaves skin soft and smooth. Shea butter, mango, and safflower oils moisturise and replenish to soften skin and make hands, feet and all areas of the body look and feel hydrated. Added redness reducers help to even skin complexion. A break-through, one-touch, all angle spray system. 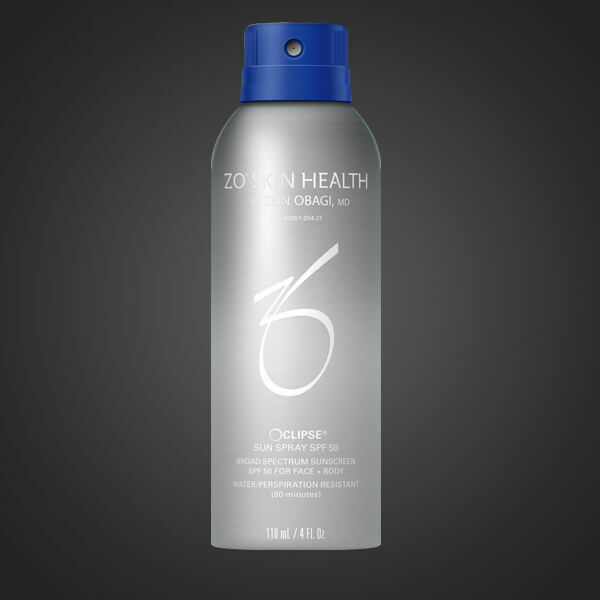 The Oclipse® Sun Spray SPF 50 provides even coverage for the entire face and body with a weightless, non-greasy finish. This sunscreen is a non-irritating and water resistant formula that lasts up to 80 minutes. Plus, its exclusive 12-hour time release antioxidant system helps guard skin against photo-damage and future signs of ageing. Enriched with a dual moisture replenishment system and skin lipid restorers that prevent dry, flaky skin by combating the dehydrating effects of prolonged sun exposure. What’s more, it doesn’t just protect the skin from harmful UV rays but HEV light too!